Galantamine is a natural herbal extract that can greatly increase your chances of having lucid dreams. It is by far the most effective lucid dreaming supplement out there. 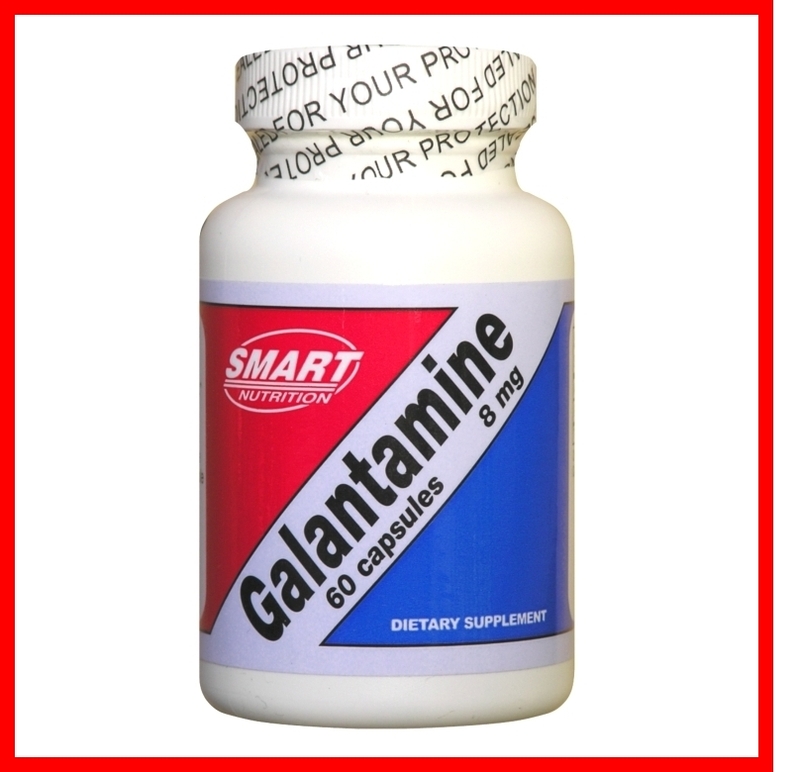 Other supplements can enhance galantamine. But, by themselves, they do not usually lead to lucid dreams. When taking galantamine, many dreamers often experience very astounding and vivid, brilliant dreams, even if they do not have lucid dreams. However, for good success, you do need to use it in the correct way. The material provided is for educational purposes only. Any information or recommendations are not intended as medical advice and should be verified through your own personal research. You are solely responsible for your use of these supplements and for researching and taking into consideration any possible contraindications and interactions between such substances and other substances, such as, but not limited to medications and alcohol. Do not use with alcohol. If you take any medications consult with your physician. Galantamine is a natural herbal extract that if used correctly can greatly enhance and increase the chances of lucid dreaming. No other lucid dreaming pill is known to have near the potential. In the year 2000, Dr. Stephen LaBerge discovered the use of galantamine for lucid dreaming when he became aware of its use as a memory enhancer. This substance works by indirectly raising the levels of acetylcholine, the main neurotransmitter responsible for memory, by breaking down the enzyme, acetylcholinesterase, which breaks down acetylcholine. The extract of galantamine, an over-the-counter herbal product, has been used for memory enhancement since the late 1950s. Galantamine’s use as a memory enhancer originates as far back as 3200 years ago, when it was reportedly used by the Greek hero, Odysseus, to counteract the goddess Circe’s mind-altering drugs. Since I was first introduced to the use of galantamine extract for lucid dreaming, I have taken it on and off for about 18 years. I was already a very frequent lucid dreamer. On the nights of taking galantamine, I discovered lucid dreaming was usually effortless for at least 1-2 REM periods. I frequently am able to take galantamine at the beginning of the night and 90 minutes later go into a WILD from full consciousness. I write this so that you understand just how effective the use of galantamine can be for lucid dreaming. But do not let me mislead you. Having a mindset for lucid dreaming is very, very important when using galantamine as an aid for inducing lucid dreams. Due to years of lucid dreaming practice, this mindset comes naturally to me. When and How Often Should You Take Galantamine? It is best to take galantamine between 3-5 hours after bedtime, when you naturally wake up after having some good deep sleep. Otherwise, you will need to set an alarm clock. I do not recommend taking galantamine at the beginning of the night unless you do not mind the possible experience of lying awake for a couple of hours before falling asleep. Also, most lucid dreamers, including very experienced ones, do not attain lucidity so early in the night, even with the aid of galantamine. I suggest starting out with one 8mg cap. However, if you are extra sensitive to substances, you might consider starting out with a 2-4mg dosage. Galantamine has a half-life of approximately 7 hours. So the effect mostly wears off during the night, and allows you to take it up to a couple of times a week without losing its effectiveness for lucid dreaming. It is recommended that, at most, you take galantamine once every 3 nights, as the body will adjust its production of acetylcholine downward in response to raised levels. For this reason, the effect on lucid dreaming will be significantly reduced if you take it too often. My personal recommendation is that you start out taking galantamine no more than once a week until you acclimate to its effects. Again I emphasize, when taking galantamine it is very important to have a mindset for lucid dreaming. Galantamine will greatly increase your chances of lucid dreaming if you are already practicing the things necessary for having a lucid dream, such as recalling at least one dream per night, practicing MILD, and using the napping technique, all described on The Lucidity Institute’s website and in Exploring the World of Lucid Dreaming by the world renown lucid-dreaming researcher, Dr. Stephen LaBerge. Without the proper mindset, galantamine may only give you very vivid dreams, or even nightmares. At first, I recommend taking galantamine only on nights in which you do not need to work the next day, until you are familiar with how it affects you. Except for stomach upset, which in most cases can be easily remedied, it usually does not cause most people any significant problems. However, there are a small percentage of people who react so strongly to galantamine that a normal dose can be close to an overdose. These people often have high sensitivities to other substances. I strongly recommend checking out the possible side effects. If you are uncertain of your tolerance, start with a low dosage such as 2-4mg, or less. Galantamine is well known to cause nausea due to raised acetylcholine levels. When taking galantamine, it is highly recommended that you eat a small amount of cheese, or nuts, to counteract any possible stomach effects. It is also recommended that you take a couple of caps of ginger root which is excellent in countering any stomach upset in combination with the aforementioned foods. On the nights that you take galantamine, it is highly recommend that you take at least 3mg of melatonin 15-30 minutes before bedtime. I often take 15-20mg. This will aid you in getting deep sleep and will help to counter the wakefulness effect of galantamine. Your first time around, you should probably stick with 10mg or less until you are familiar with the effects of this concoction. As for the experience of taking galantamine, WILDs (Waking Initiated Lucid Dreams) as well as DILDs (Dream Initiated Lucid Dreams) are common. If you have never experienced a WILD you would do well to read up on it. They can be a really wild ride, especially galantamine induced ones. In the extreme (not the usual occurrence for most dreamers), you may find that while falling back to sleep your body is suddenly paralyzed and you cannot move, weird creatures are holding you down and sitting on you, you are being zapped by electricity, or are experiencing major vibrations, etc. If you misunderstand what is happening, this can be pretty freaky. What is happening is that you have just entered REM sleep with a high-degree of awareness. You may still feel your physical body to some extent, but are actually dreaming all this other “nonsense”. So if this ever happens to you, do not mistake it for reality. But conclude you are dreaming, and get up into the dream disconnecting your dream body from the feeling of your paralyzed physical body, and continue on into a lucid dream. Rolling over in your dream body and onto the dream floor is one of the better ways to disconnect from the feeling of paralysis. Not to worry, your real body will remain paralyzed in bed. If you cannot manage to roll over, imagine yourself standing up and you may find yourself suddenly standing straight up in the dream. If you still cannot move your dream body, imagine floating above your bed or to where you want to go. When we enter REM sleep our body is automatically paralyzed (REM atonia), or we would find ourselves acting out our dreams in the physical world causing peril both to others and ourselves. This paralysis is a very natural occurrence. Though, usually we are not conscious of it. So when we become fully conscious of sleep paralysis, it can be a little frightening. But in actuality, we have been through this thousands of times before, even as a baby. And we survived it every time. It is only that we usually are not aware enough to have any memory of it. It is my opinion, based both on personal experience and other’s accounts, that when a dreamer enters REM sleep consciously in what is termed “sleep paralysis”, that the “fear center” is often activated. So if you start to become fearful remind yourself, that it is only a dream, and enjoy the ride. I have gone into a bit of detail, as I want lucid dreamers to be psychologically prepared for what might occur. Do not expect that any of this will happen to you. The point is to be aware of what you could experience, but usually will not. One thing to always remember during lucid dreaming is that nothing can hurt you, neither the dream scene, nor your dream characters, nor your dream thoughts and emotions, even if the dream is going totally crazy. It may seem like it can hurt you because it looks and feels like waking life. But the fact is, it’s just a dream. Believe me, I have had thousands of lucid dreams and have never once been physically injured, not to mention the thousands upon thousands of non-lucid dreams that we have all experienced. It doesn’t matter if you get your dream armed hacked off, or if the dream you is run over by a dream Mack truck. It’s only a dream. It’s all about how you choose to perceive it. You can choose to be calm or to freak out. Why freak out when no physical harm can come to you? Unmanageable fear is the result of an incomplete realization that you cannot be hurt in a dream. Galantamine can lead to very powerful experiences, but it can just as well be terrifying if you do not understand what is going on. If you realize that your fear center has been activated, then it is a lot easier to detach from the experience and watch the fear, rather than being undone by it: “Oh! My fear center has just been activated. Yeah, well I know it’s only a dream and I can’t be hurt.” As a side benefit, in dreams, we can learn a lot about our reaction to fear during our waking lives. The guide continues below under the heading “Other Supplements”. Galantamine herbal extract is available in 3 sizes: Check whether it ships to your country under International Details below. Contact Nathan if you have any questions. Handling time is usually 1-3 business days. Once shipped, orders to the USA usually arrive in 2-7 business days. Once shipped, International orders usually arrive in 10-35 days. Pick your option for Galantamine supplement. Note: This product ships to most European nations and to many other countries. See below for a list of countries that we do not ship to. International buyers are responsible for paying all duties, taxes, and associated fees. Once shipped, your international First Class package will usually arrive within 10-35 days. However, packages may be delayed by your local customs office, mail strikes, natural disasters, weather, and holidays, etc. 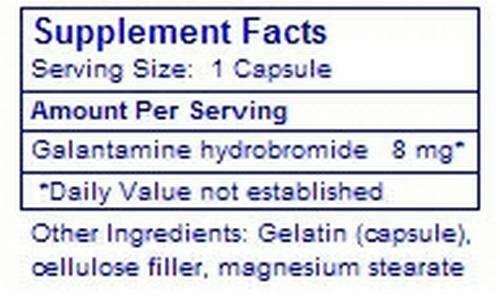 Below you will find further information on other supplements, which can complement galantamine. I strongly suggest taking melatonin at the beginning of any night on which you decide to take galantamine as this will counteract the wakefulness effect of galantamine and will help with getting good deep sleep in the early hours of the night. I do not suggest taking any other of the below supplements your first few times around, except for possibly a low dose of valerian (1000mg). Reality tests and relaxation exercises along with self-suggestions follow the supplement discussion. Melatonin is a natural supplement that signals your body that it is time to go to sleep. 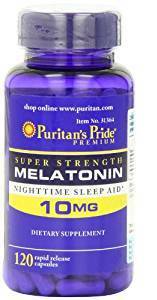 On galantamine nights, about 15-30 minutes before bedtime, I usually take 15-20mg of melatonin. Melatonin can give you quite vivid dreams. But, by itself, it does not usually result in lucidity. New research indicates that melatonin may have many potential benefits. I suggest reading the Wikipedia article in regard to melatonin. Valerian is a natural supplement that is a great relaxant, reportedly similar to valium in effect, but non-addictive. I usually take 2000-4000mg of valerian along with melatonin to counteract the wakefulness effect of galantamine. I suggest starting out with 1000mg. FYI valerian has a strong odor, so don’t go sniffing it if you have a sensitive nose. If later in the night you experience insomnia, another dose of 1 to 2g may help you get back to sleep. This is a precursor to serotonin and is also another good relaxant to be taken at the beginning of the night. By itself 5-htp can result in colorful dreams. I take 100mg when I want an extra kick. But be careful, a combination of melatonin, valerian, and 5-htp along with galantamine can put you over the top. You may experience waking up and then being “dragged” right back into REM. Personally, I like to do this combination once in a while, but it can take some getting used to. Again, I emphasize taking it slow. Two to three 500mg capsules of ginger are excellent for settling the stomach due to the potential nausea effects of galantamine, b-6, 5-htp, and lobelia mentioned below. Or, if you do not mind the taste, simply mix ¼ to ½ teaspoon of powdered ginger into an ounce of water and drink quickly. You may find that it warms the stomach. This is another smart drug, which has minimal effects in raising acetylcholine levels in low doses. However, I have personally discovered that if I take 50-100mcg along with galantamine that it can add some weird dimensional effects to my lucid dreams. Of course, this is subjective in that it could be due to expectation, although over a period of time I have found it to be quite consistent. This is actually the first supplement I ever took that noticeably affected my dreams. Lobelia is a natural muscle relaxant and should be taken with galantamine, rather than at the beginning of the night. Be careful with its use as like all muscle relaxants it can slow down the heartbeat. It also is called puke weed, so definitely be sure to eat something with it and take some ginger. Absolutely do not take more than one the first time around until you are familiar with how it affects you. It is more unsettling to the stomach than galantamine. In combination it can add some interesting effects and may also alleviate any shortness of breath. Galantamine can also possibly slow down the heartbeat, as well as the opposite. Please look up and review the contraindications of both galantamine and lobelia. Compared to Galantamine, choline is an unnecessary, high-cost supplement without any obvious benefit. I have taken brands of galantamine with and without choline, and have noticed no substantial difference in the performance of galantamine. Galantamine is by far the most effective supplement for lucid dreaming. A higher dosage of galantamine will result in higher levels of acetylcholine (ACh) relatively quickly, thereby accomplishing one of the supposed effects of choline. But you are strongly cautioned to start out with 4 to 8mg of galantamine as you could very easily raise your ACh levels to uncomfortably high levels. Contrary to what is often claimed elsewhere, choline supplementation is not at all necessary for lucid dreaming in healthy dreamers. Galantamine is just as effective by itself. The issue is simple: A high amount of choline is readily available in the Western diet. In other words, healthy dreamers in the Western world have plenty of choline available for acetylcholine (ACh) synthesis. Choline supplementation is not required for maintaining sufficient ACh levels (except possibly in the case of extreme exercise, in which all available choline is used up after about 2 hours of continuous exercise, such as running a marathon). If your ACh levels are normal, the body will not produce more ACh when you take choline supplement. This is because the body maintains ACh at levels that it considers normal. In other words, when your ACh levels are normal, taking more choline will not result in further ACh production. Therefore, supplementation with choline does absolutely nothing to raise ACh levels in healthy subjects who already have plenty of available choline in their bodies due to its ready availability in the Western diet. So simply put, choline supplementation is a waste. In fact, when ACh levels inadvertently go above normal due to an acetylcholinesterase (AChE) inhibitor, the body reacts by lowering the production of ACh. The body constantly manufactures ACh from choline and other components. Then the enzyme, AChE, breaks the ACh back into its components, recycling them for further use. Galantamine does not cause the manufacture of extra ACh, nor does it result in the depletion of choline. It only indirectly raises the levels of ACh by breaking down the enzyme, AChE, which breaks down ACh. In other words, galantamine is an AChE inhibitor. As a result, the breakdown of ACh is temporarily halted, and the production of ACh piles up, becoming more concentrated than normal. These higher ACh levels result in an increased ability for lucid dreaming. The body eventually responds to this increase by lowering the production of ACh bringing the levels back to normal. This can be tested by taking galantamine by itself, choline by itself, and then galantamine with choline. If you do this experiment, try it at least 3x for each condition, and take a week between each test. Make up your supplements ahead of time, and make sure you do not know what condition you have taken until after you have completed the whole experiment. You will need to track your supplement usage blindly. This way you eliminate the placebo effect by using a double-blind experimental design. Since galantamine indirectly raises the levels of acetylcholine by breaking down the enzyme which breaks down ACh, it stands to reason, that the body will require no more choline than normal for the production of ACh when taking galantamine. The question is whether choline supplementation will temporarily boost the levels of ACh significantly higher before galantamine itself kicks in. Based on the reasons stated above, the answer to that question is emphatically, No, especially since one can feel the bodily effects of galantamine within 40-60 minutes in any case. Again, choline will not raise ACh levels in persons of good brain and nervous system health. Be careful when experimenting, as heavy doses of the above supplements can sometimes lead to supercharged and potentially nightmarish experiences. You probably would not notice a lot if you took most of these supplements when wide awake, except for maybe a little drowsiness and relaxation. But, during dreaming, the effects can be quite noticeable. If you are not used to this type of thing it could very well freak you out, so take it easy to start with. The main thing to remember is that dreaming cannot hurt you. A relatively small percentage of people experience contraindications to galantamine such as shortness of breath. If you try larger doses, I suggest adding 4mg at a time to test your tolerance for anything over 8mg. I do not suggest taking any more than 12mg at a time, which is a very high dose. You do so at your own risk. If you do try that much you might spread it over several hours. I’m tall and big boned, so you may need to adjust the above doses to your weight. Your particular sensitivity to substances matters the most. I suggest getting a programmable clock or repeating countdown timer with a vibrating alarm that you can use to do reality checks throughout the day. Constant reality checks over many months will greatly increase your chances of lucid dreaming. 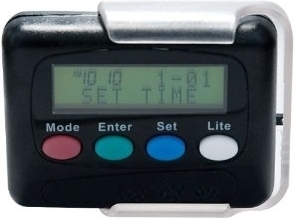 A repeating countdown timer on your cell phone or computer will also work. I offer a device called LucidVibes. 1. When your timer goes off, imagine wondering if you are dreaming. Ask, Am I dreaming? 2. Do a reading reality test which is the most reliable test for determining whether you are dreaming, invented by Dr. LaBerge. Look at a word—three letters will do. Try to make the letters change with your mind. Look away. Look back and try to change the letters again. Look away and back again. Imagine the letters actually changing and say to yourself, I am dreaming. Studies by Dr. LaBerge have shown that in a dream there is a 95% chance the words will change. 3. See yourself doing a predetermined task or activity that you want to do while you are dreaming. This will greatly increase the chances of remembering to do the task in your dreams. Completely, totally, and utterly relax for a minute or so. By the time you complete this 10-15min exercise you should feel very, very relaxed. Do it once more if you feel like it would help relax you even more. Next sit in a meditation pose closing your eyes and say slowly about 5x, pausing a few seconds in between each: Tonight I will have a lucid dream…Tonight I will have a lucid…Tonight I will have a lucid dream. Then relax. Repeat this sequence 3x. This will put you in a very relaxed mindset for lucid dreaming. This relaxation exercise and simple self suggestion right before bedtime, as well as strong motivation, is probably what led to me having 74 lucid dreams in my first year of lucid dreaming. Each time you wake up during the night, you should do a reality check to test whether you have actually awakened or are only dreaming that you have awakened. If you wake up from a lucid dream, lie absolutely still and wait for the moment that feels right to reenter the dream. If you hear any weird sounds, your arms or legs float up into the air, feel any vibrations, or any other unusual thing happens, assume that you are probably still dreaming. Try getting up from your dream bed into a new dream scene. You can also attempt to do this when you wake from non-lucid dreams. But it can prove much more difficult as often one moves a bit before becoming aware that one has just been dreaming. If you do move, resume the position you woke from as soon as you recall you have been dreaming and lie completely still waiting for the right moment. Doing this takes a lot of patience, especially if your body feels like moving. But with consistent practice you will get used to it and have great lucid dream reentries. It really is a form of meditation. Good dreaming! If you have any questions or experiences to share, please contact Nathan.